Gun dog training is one of the most demanding and difficult tasks a family pet will likely be exposed to in its life. To be a good gun dog requires equal amounts of desire, natural intelligence and good bloodlines coupled with training from an experienced trainer, while the natural attributes of the dog are very important good gun dogs are made through intense and thorough training. Whether you have a pointing dog or retriever we have the facilities and experience to train your dog to the peak of its abilities. 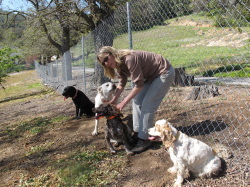 Our kennels sit on forty acres of natural habitat; we have a two acre pond for water work training, several fields with natural cover as well as a cultivated field. This gives us the ability to work with your dog in number of different scenarios and situations. 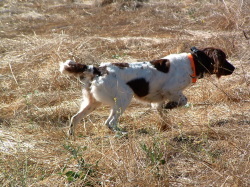 There is no better gun dog training property in San Diego County and simply put we are the best. Basic gun dog training takes four months. Our training gives your dog all the basics it will need to become a productive safe and happy participant in your field adventures. We will discuss your specific needs and train your dog to suit the type and style of hunting you do be it waterfowl retrieving, upland pointing or flushing work we have the experience and knowledge to train in all disciplines of hunting. 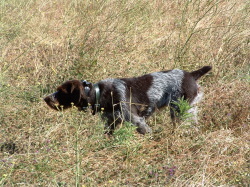 When it comes to age for gun dog training we like to start training with them at six months, the dog has gotten past its fear periods and is still young, impressionable and cooperative, the best success is achieved when you start early. Too many times we have seen folks wait too long or start training and realize they don’t have the time, knowledge or skill and by the time the dog comes to us it is too old, badly trained or set in its ways that the training becomes seriously compromised. During the first month of training the owners are asked to refrain from visiting so that the dog can become accustomed to the environment and training regimen, after that the owner should be willing to come up frequently and participate in handling the dog during training sessions so that the dog and the owner are familiar with one another in the hunting/field environment and so that the owner learns and understands how the dog is to be handled once the training is complete. In addition High On Kennels offers free follow up training with you and your dog for one year after your pet graduates from basic gun dog training, we also offer short stay in kennel “tune ups” for your bird dog. 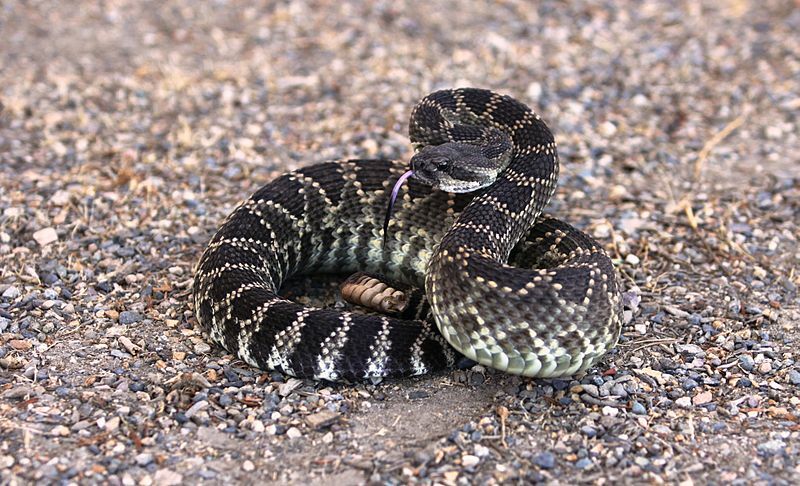 Trained your own bird dog but are having some problems? We offer private lessons to help when you encounter problems or just need some help. Thinking about buying your first bird dog or looking for a new one? Call us and let’s talk we have lots of knowledge of good breeders and bloodlines and can help you choose the right breed and breeder to suit your needs.